Rare find on the edge of Paso Robles/Templeton. Pin Oak Lane is located between the upscale communities of Spanish Camp, Spanish Lakes and across from Santa Isabel Ranch. 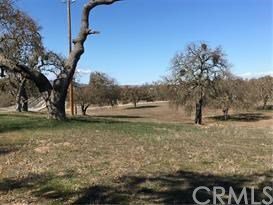 This beautiful oak-dotted parcel is ready to go and only four minutes to Kennedy Fitness Center and Paso Robles shopping. A private paved cul-de-sac road servicing only six parcels with well and underground utilities in. A few gorgeous homes already built in this private enclave with room for privacy and amazing view sites. There is already a great deal of maturing privacy landscaping from existing homes. There is a private road agreement and NO HOA Fees. The parcel is slightly sloping and leaves room for the development of your dream home? We are offering two parcels in this development. Please see MLS #NS19013019.